As we all know by now, Windows RT powered tablets are coming and Microsoft has opted to join team NVIDIA when it comes to powering its own Surface tablet. Qualcomm may have taken exception to that decision because it is promising that Windows RT devices powered by its Snapdragon processors will be better. 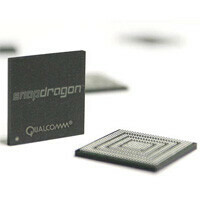 Qualcomm recently held a developers conference called Uplinq. At the event, Qualcomm CEO Paul Jacobs said Snapdragon-based Windows RT devices will be thinner, lighter, deliver good performance, offer extended battery life, and will still keep things cool while not requiring a fan. 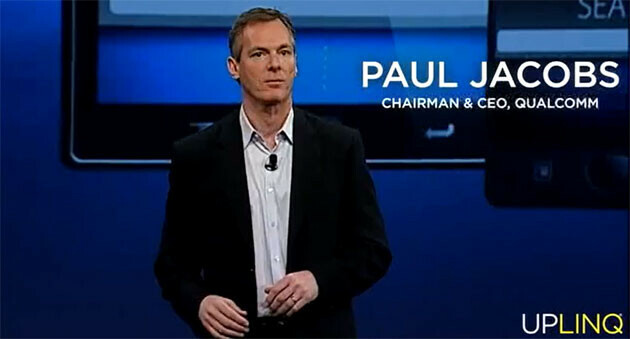 He also promised that Windows RT Snapdragon devices would be available when Windows 8 launches. As far as the platform itself, Jacobs feels that even though most developers are currently focused on Android and iOS, he believes that Windows RT will “refocus the attention on Windows.” He said that the common core that is shared between Windows 8, Windows RT, and Windows Phone would make it easier to develop cross-platform apps and games. To encourage developers to help backup this claim, Qualcomm also announced a Windows RT app developers contest. This is how an OS gains market.. Good job..
Windows PCs overpowered Macs because they are more open... Android overpowered iOS because it's more open... How do they plan to turn things around with their mobile devices by creating a more closed system than Apple's? This interconnectivity could work in their favor, but they should still loosen up their platform more to become more than just eyecandy. Apple already has that department covered. This is the single longest frickin' sentence I've ever seen. Android looks and performs like iOS? If that's the case, then I would be clutching a Nokia Lumia 900 right now. I wonder why Linux didn't beat Windows and Mac OS. It is the most open of them all. Microsoft gained compatibility and support because it has beaten Linux already. Compatibility and support is the effect and not the cause why Linux didn't beat Windows. If Adobe programs were supported, I'd be running Ubuntu right now. If Linux has beaten Windows, Adobe programs would not be on Windows on the first place but should have been in Linux. So it's not the reason, but rather the consequence of it. Both are good processors but given the choice, I'd take the Qualcomm before Nvidia. Big question is when will Intel join the party? intel should be there soon enough,i hope,intel rules all!!! Intel is on the x86 side with its Medfield mobile chips. Man I love technology! The OS wars are heating up as well as the processor war. I wouldn't doubt that a Win RT tablet running on a Snapdragon processor would run better than one that runs on an NVIDIA processor. As of lately, NVIDIA powered devices haven't been up-to-par with other devices, specifically those powered by Snapdragon. Look at the international HTC One X vs the US HTC One X/Evo 4G LTE. Qualcomm claiming that their chippies make for better RT tablets than NVIDIA flavoured silicon is all well and good, but what does matter to a tablet OEM when Qualcomm is having a hard time delivering enough of their goodies to satisfy the smartphone market. OEMs will buy from the supplier who can actually deliver, even if that supplier is NVIDIA. A pointless marketing excercise as far as I`m concerned. Agree. The best processors in the world mean nothing if they ain't available and hold up production. I just love the competition. Windows 8 tablets are going to be competitive and I think pretty well priced. We shall see an amazing flow of back and forth. Perfect time to be a consumer.